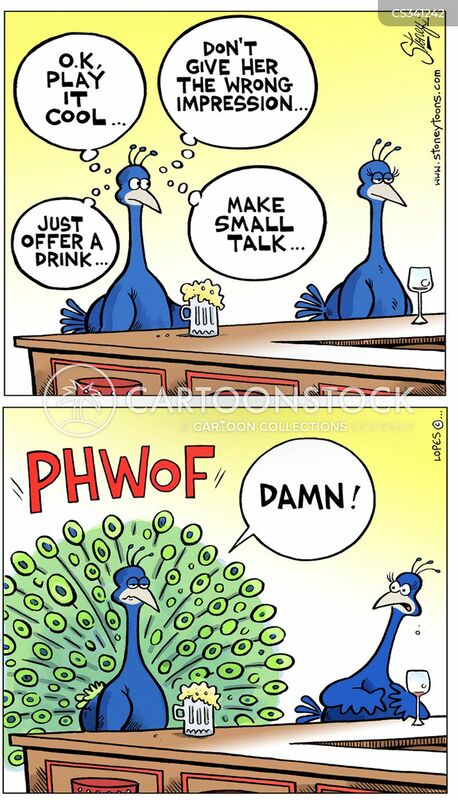 There were rumors for years that a peacock lived in our area. I heard a strange bird calling the last few days near my house. I googled peacock calls on youtube and found peacocks making the exact same noise. This peacock seems like it could be someone's pet but it's let loose to roam as it pleases. I don't think its wings are clipped because the last time I heard the bird it was high in a tree. Maybe it jumped from limb to limb but I think it flew up there. I'm going to bring my phone out where I last heard it and play some. Maybe I can get it to come near me so I can get some pictures. Should be a fun event to involve the kids in. I'll post some pictures if I'm successful. Yesterday the family checked out the Baby Goat Festival at Prodigal Farm. 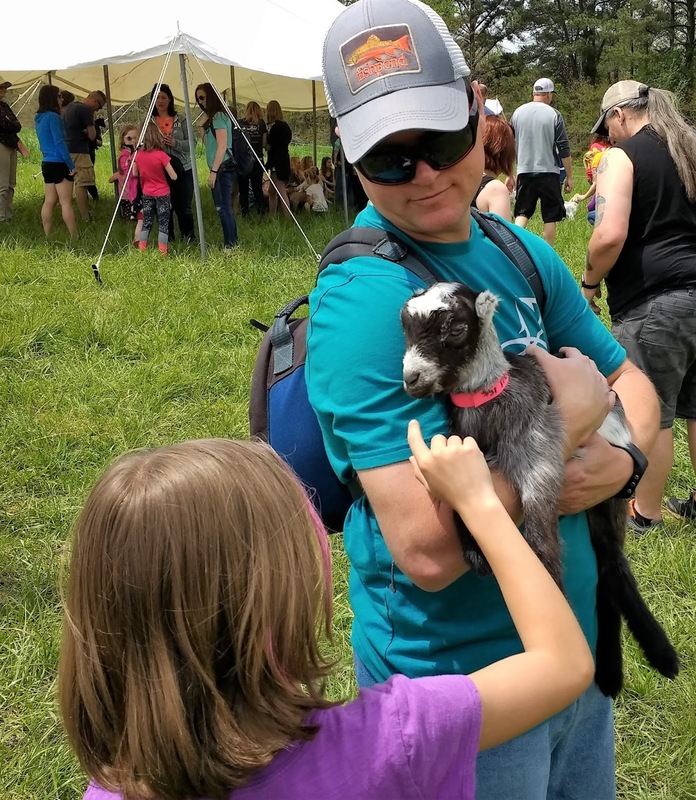 My wife found this event online and I have to admit I rolled my eyes when she first told me about it. 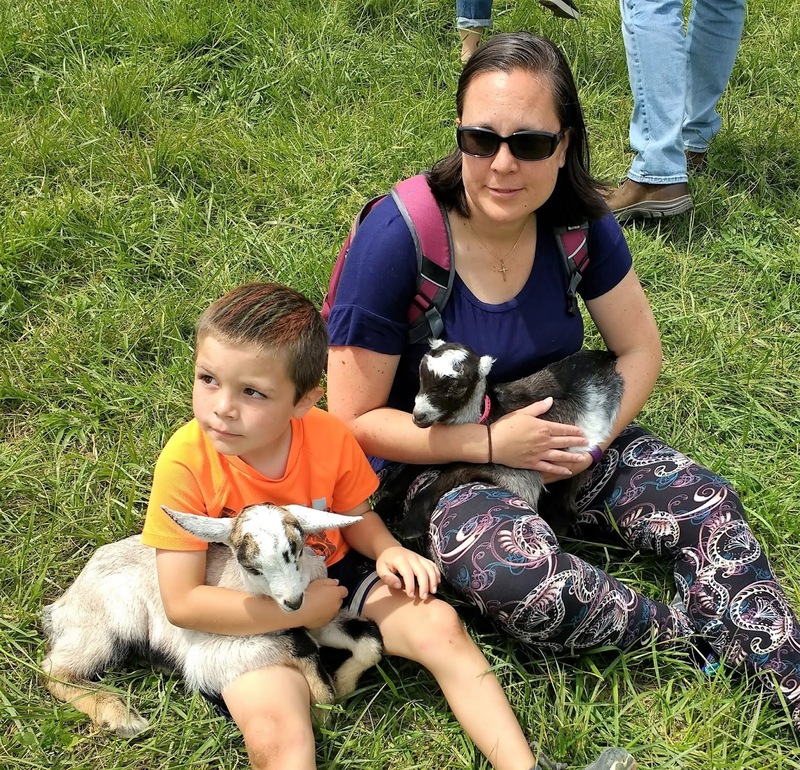 The festival ended up being a great time and it's hard to be in a bad mood when you're surrounded by baby goats. 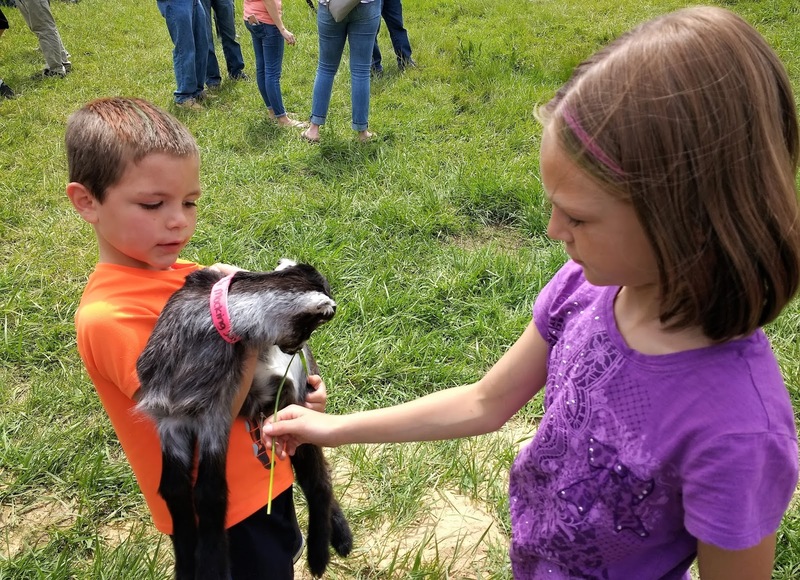 The goats were used to people and didn't mind if you picked them up. There were several that seemed to actually enjoy being held. 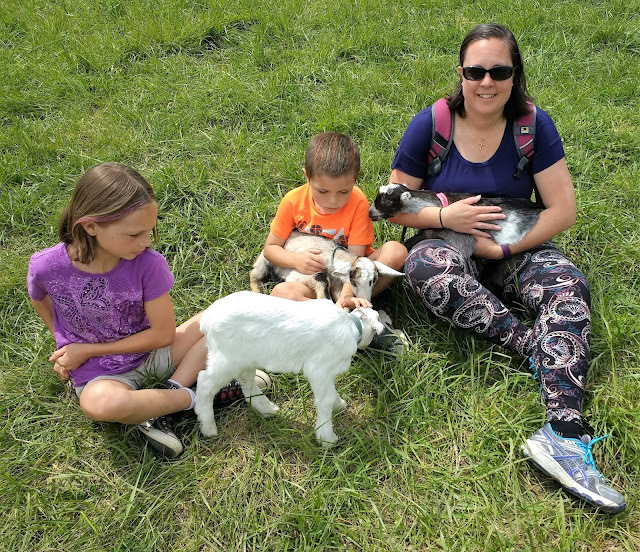 We had a blast playing with the goats and watching them frolic around. It's a great family event. The farm also offered goat cheese tastings and tours of their farm. I think we might be attending this every year. My wife definitely is. 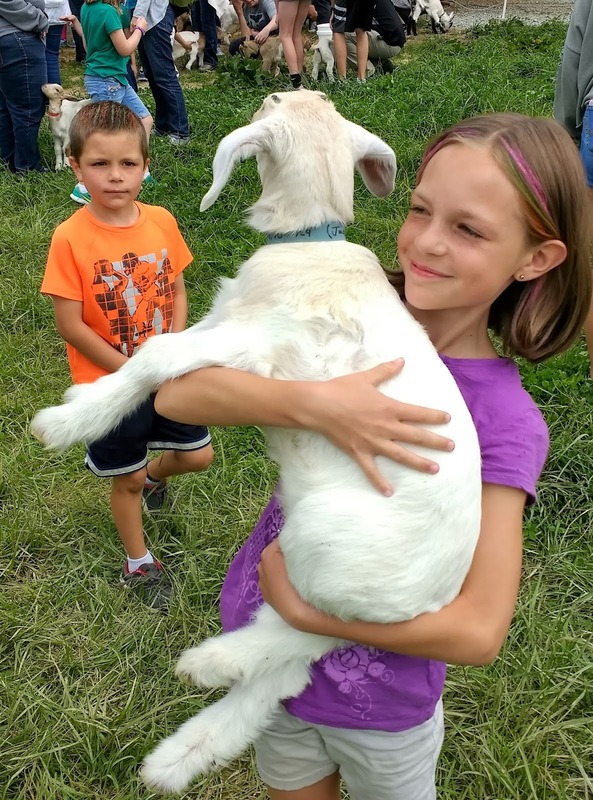 I'm surprised she didn't try to smuggle a goat into our car before we left. 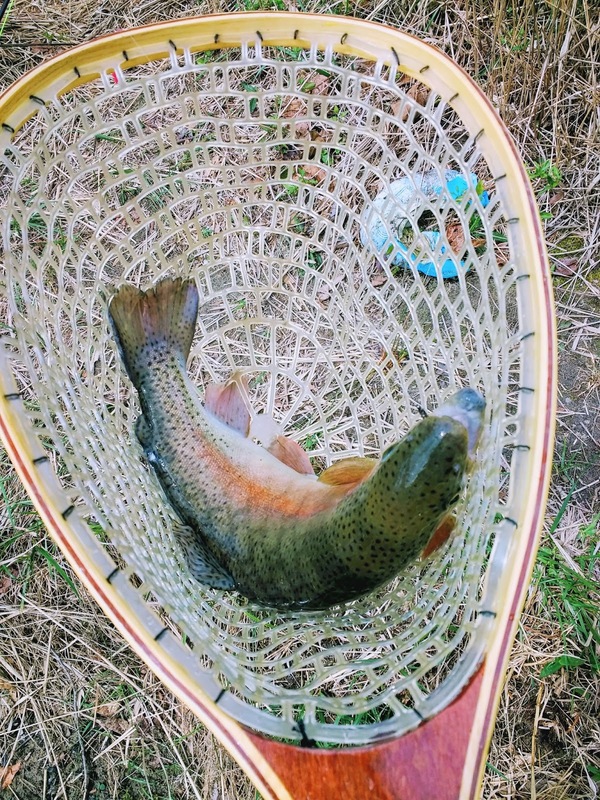 The internet is such a great resource for learning about fly fishing but it can also be just as damaging. 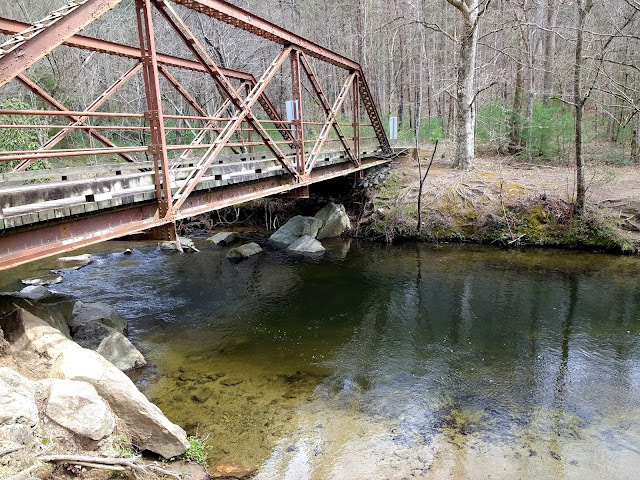 People posting reports of their favorite fishing holes have ruined many angler's honey holes that were secret for years. 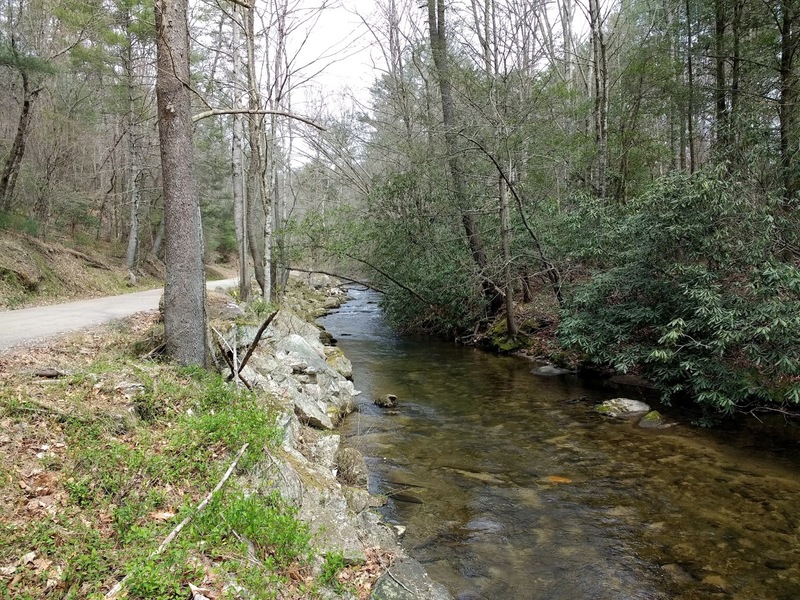 Being able to pinpoint a location down to GPS coordinates has devastated some really great fishing spots. Many call this phenomenon Spot Burning. Some feel sharing locations and posting about them is fine because they will eventually be exposed anyhow. Others see it as the demise of great fishing. Past generations always say things were better before. I think that statement truer than ever in today's fishing climate. With today's technology you can send a picture of where you're fishing and text directions with in seconds. It has created a major dilemma for bloggers and fishermen who love sharing their stories but love the places they fish even more. 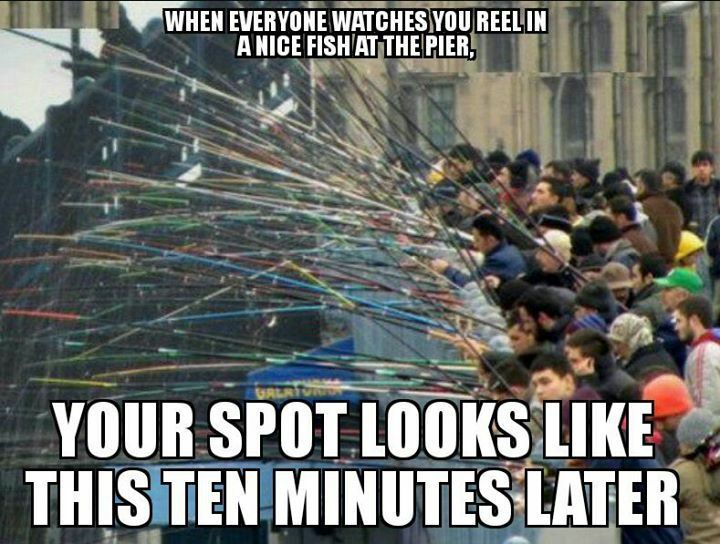 It's the main reason I rarely share streams and rivers I fish. I also try to hide various land marks in my pictures. Some places are just impossible to hide. If you know the seasons and are in fishing circles you can pretty much guess where someone is fishing. 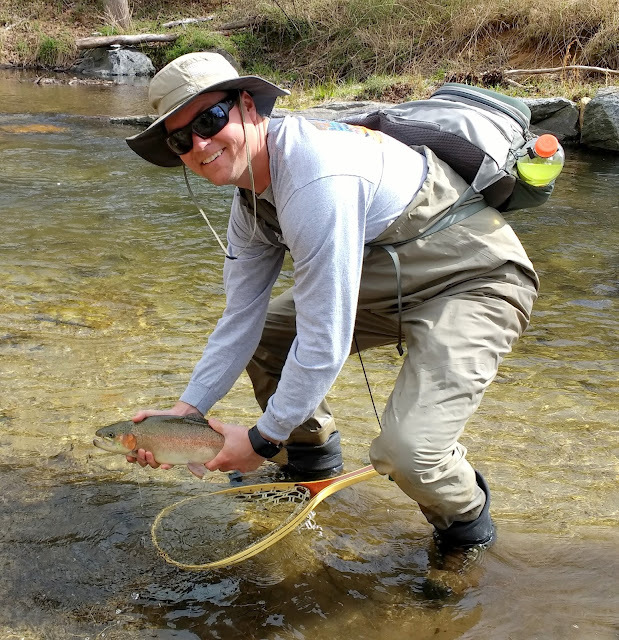 With many it's the generosity of sharing knowledge that introduced us to fly fishing. Having to hide and keep secret what you want to share and care about dearly contradicts what many feel is right. Some say the only way to make people aware of how great these places and fish are is to expose them. I would have agreed with that years ago. From experiences getting older meeting fisherman and seeing how people treat the environment has lead me to disagree. 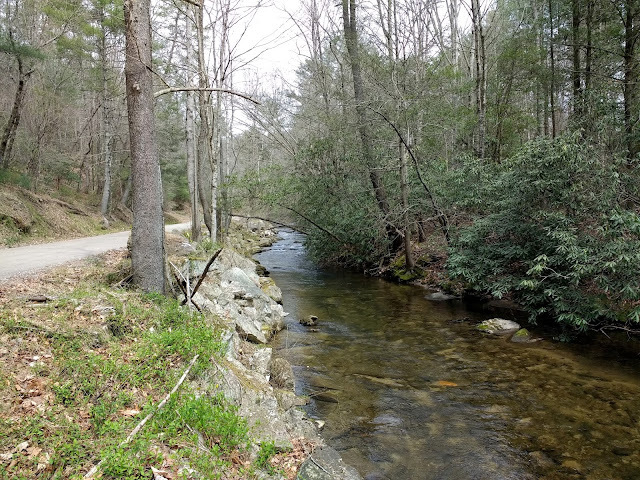 No matter what you choose to do with your fishing reports try to keep in mind what the end result may be. It could me more than just a fishing spot you're losing. There's something alluring about bridges. I always expect to find a monster fish lurking in the shadows of a bridge. I guess it's from reading books like Billy Goats Gruff as a kid. Sometimes my expectations are right but even when I can't seem to find any sign of a big fish I still believe they are there. Hiding in the submerged debris just waiting to ambush unsuspecting prey. This river had several bridges with deep pools that teased my imagination. The pools were full of fish but on this day they seemed educated. Stocked fish that have learned that danger lurks in unusual things hitting the water are fun and frustrating at the same time. 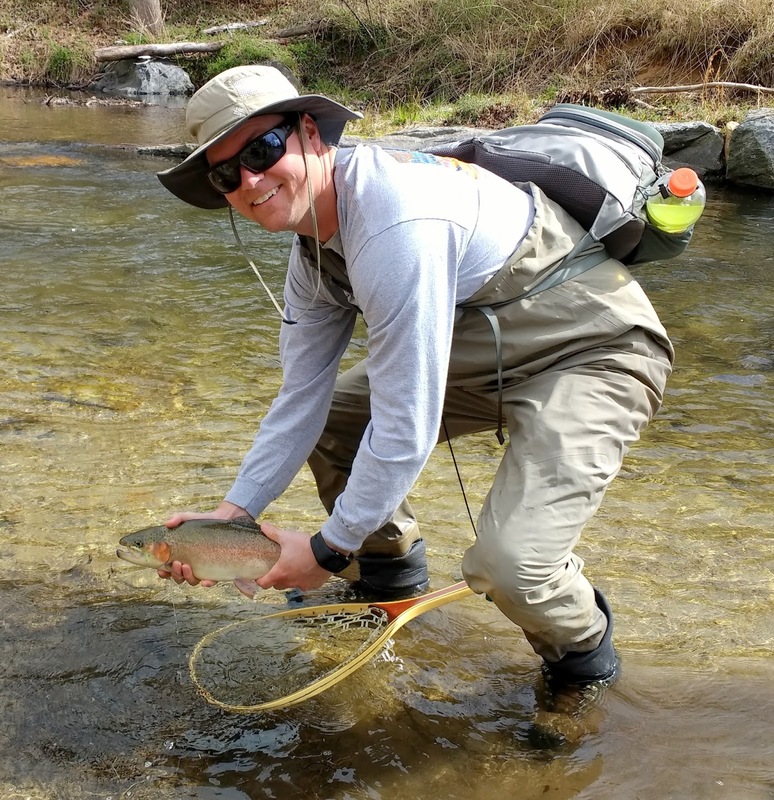 Many times the fish will come with in a millimeter of your fly to either nip at a strand of marabou or turn around as quickly as they approached. This river is heavily stocked and the trick seems to be trailing a traditional fly behind an attractor pattern. I like to try something bright pink like an egg or squirmy wormy. You'll have fish hit the attractor fly but more often than not they will hit the dropper. I have so much confidence in my soft hackle flies I find it hard to use much else as a dropper. When I have success like this it makes it even harder for me to switch things up. Soft hackles almost always work and if they don't it's usually a matter of fishing the wrong depth. If you see fish in a pool and they don't seem to be hitting. Try adding weight instead of switching flies. My buddy asked if I wanted to come along with him to our local shop that sells flies. I hadn't been in awhile so I decided to go. We walked over to the fly bin area and I started to scan around at the various patterns. While looking I ran across a small sign that said flies only $2.50. At first I figured they meant streamers were that price but I was mistaken. The streamers were $4-$5. I recently bought some flies last year via Etsy. The flies were $3.75 for 3. Recently I noticed those kind of deals are few and far between now. I'm wondering when I missed something. Did the price of materials go way up? Seems like the average price for a fly is $2.29. This gives me way more incentive to tie and even possibly try to sell some of my flies. I'd happily take $2 for any fly I tie. Has anyone else noticed this influx in pricing? 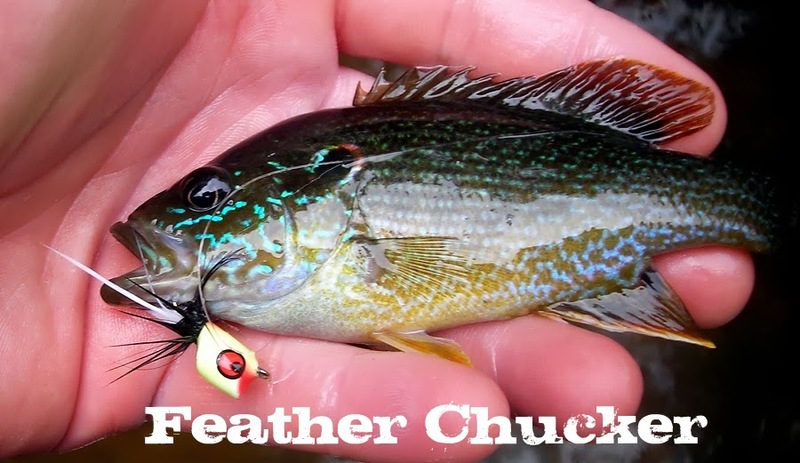 Is it giving you more motivation to tie your own flies? This spring has been particularly cold. The fish have been confused and so have the humans. 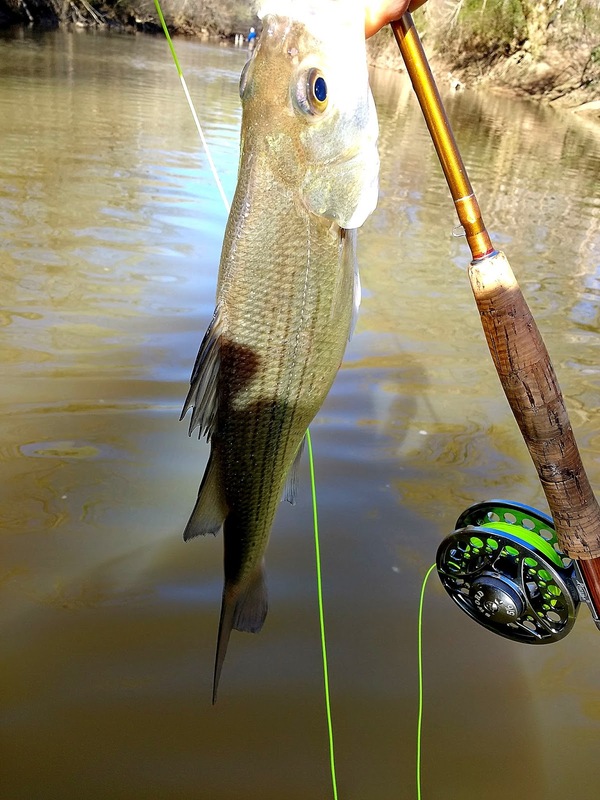 We've finally had normal weather recently and I knew the white bass had to be in the river. Since I've had kids it has been harder to motivate myself to get out of bed at 5am to go fishing. I sit there awake running through all the things I could be doing besides fishing in my mind. Things needed done around the house, kids activities and just the idea of sitting around doing nothing is attractive. Once I'm on the water though the decision I've made is never regretted. I feel at home on the water and there's a sense of belonging. I've fished the white bass run long enough to figure the fish out. On this day the fishing was tough. I only managed one but knew there were plenty more in the river. I ran into a guy I remembered seeing last year. The reason I remembered him is not many people fly fish this river and when you see another fly fisherman you usually end up chatting. I talk to bait fisherman to but sometimes you want to discuss things that only another fly fisherman can relate to. This guy had caught a ton of fish and said the trick was dragging the fly on the bottom. It's hard to do on this river without losing flies. 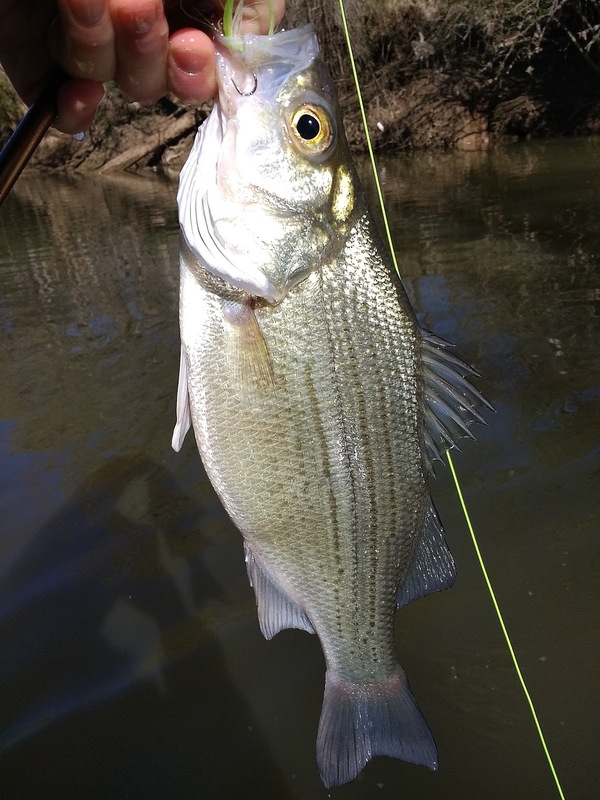 The nice thing about white bass is if you get the fly in the strike zone they really aren't that picky. Anything that even remotely resembles a minnow they will hit. The fly I was using on this day was a bead headed clouser. I use this fly when I want to fish the eddies near fast runs. I want something that will sink slowly and stay in the strike zone for a long time. When I want to get down deep I use the same fly pattern with dumbbell eyes. I say this every year and I'll say it again. White bass have a pull in the first 30 seconds of hooking that is hard to match. You never really know what size fish you have until after those 30 seconds. What you do know is that you have a battle on your hands and this fish is not going to come easy. It's what makes these fish irresistible to me and keeps me coming back every year. 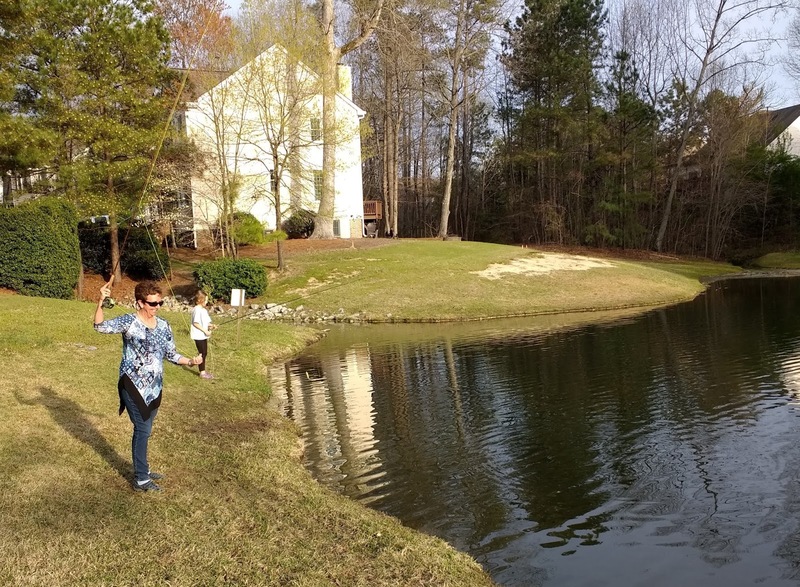 The weather this Easter was so nice I asked my daughter if she wanted to try some fishing. She seemed eager and even more so after grandma decided to join us. My mother hasn't been fly fishing in over a year so she was almost learning all over again. The water looked great but I wondered if maybe it hadn't warmed up for the fish to be active. Kora was doing great with casting and it wasn't long until fish started hitting her fly. The fish were so aggressive and fast she was getting frustrated and determined at the same time when she missed strikes. 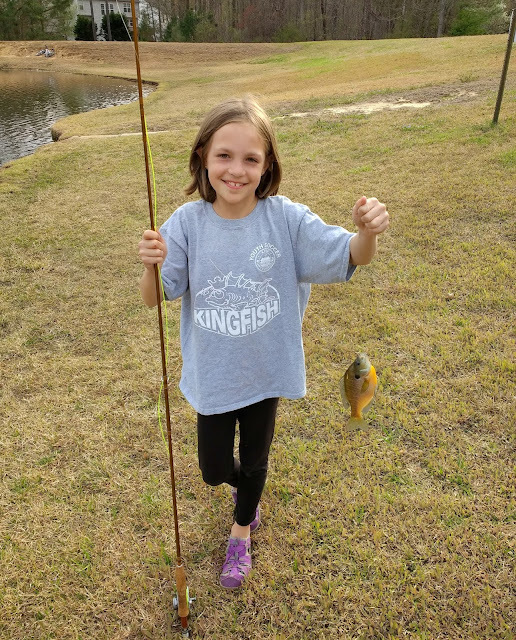 Her persistence paid off and she had her fist bluegill. Kids and bluegill just go together. I can't totally explain it but after fishing for them awhile I can't help but think they were meant for one another. Kora's smile seems to agree. 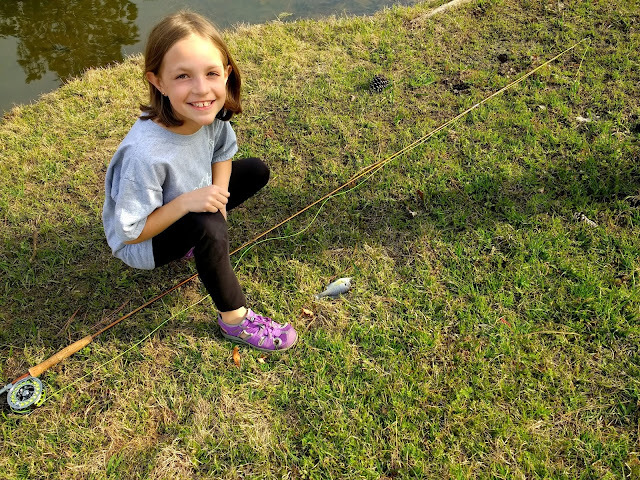 It only took a few more casts to land another and after her third fish she had figured it out. I was amazed at how she intuitively started to learn line control and how to manipulate her fly. She was getting to where she could anticipate the fish's behavior and almost predict when a fish was going to hit a fly. She really made several big strides with her fishing skills with this one trip alone. My mother was getting the hang of things as well and it didn't take long until she had a gill of her own. 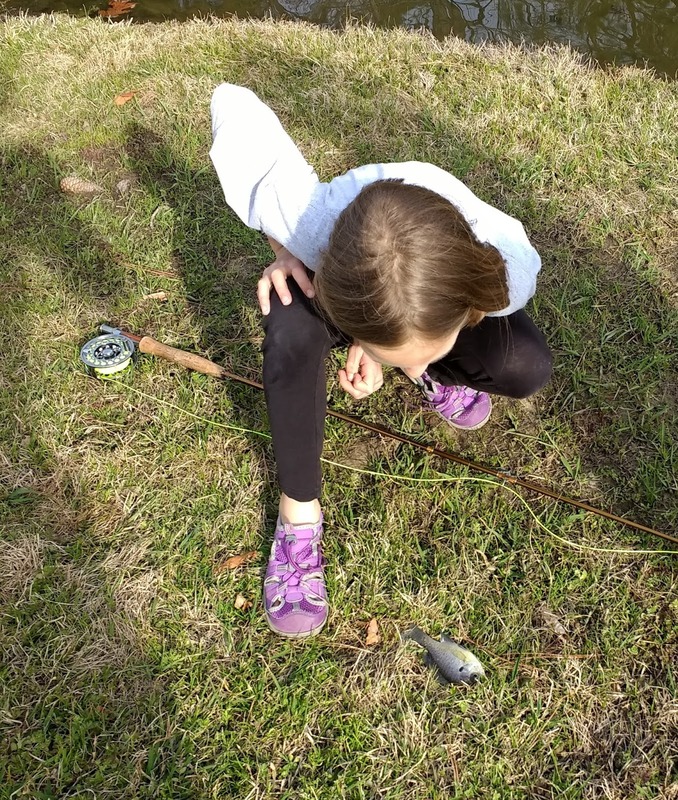 My daughter was catching so many fish she started to act cocky and wanted to make it a competition. She did end up catching the biggest fish and thought her shirt was the luck charm. 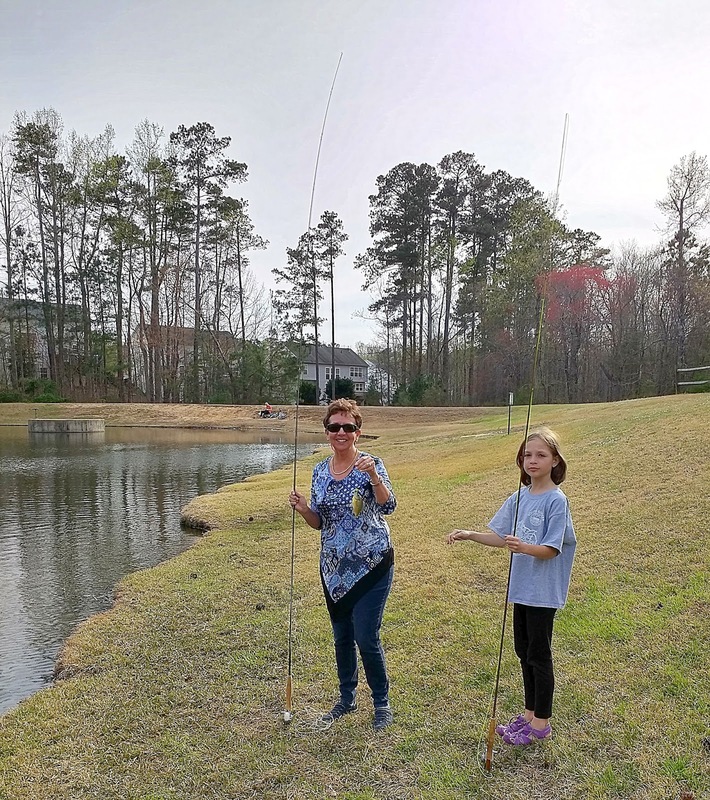 I know the real fun of the day for her was getting to fish with her dad and grandma. I felt blessed to have such a great day and have the fish cooperate. I'm hoping this trip will give my daughter the bug and make her want to get on the water more.